Fleur's delicious revitalizing Radiant Moisturizing Cream protects, moisturizes and energizes the epidermis. Its light, silky texture leaves your skin soft and the complexion radiant. 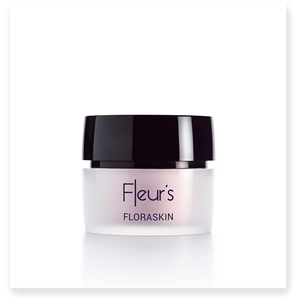 Fleur's Hydra-Nourishing Cream delicately moisturizes and nourishes even the driest skin. Its creamy, melt-away balm delivers immediate comfort to the skin. 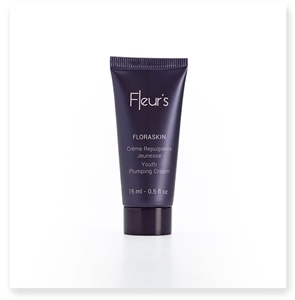 Fleur's Intense Moisturizing Cream intensely nourishes and preserves even the most dehydrated skin. Skin rediscovers suppleness and a feeling of long-lasting hydration. 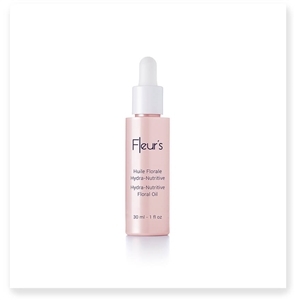 Fleur's Youth Perfector Fluid has a perfected formulation of ingredients to target wrinkles, skin texture, and complexion all at the same time. With its delicate, lightweight texture, the Youth Perfector Fluid has a velvety feeling upon application and leaves a powdery finish that is soft to the touch. SWEET DEAL! BUY 1 GET 1 FREE! Fleur's Night Comforting Cream moisturizes the epidermis all night long for skin that's visibly refreshed and lovely. Upon waking, skin is rested, intensely nourished and quenched. It has a comfortable texture and velvety feel to offer skin a glowing complexion. A “morphing” cream with a dazzling floral formula that blossoms to plump the skin, recreate substance and give it all the freshness of its youth. As sensory as it is effective, this plumping floral formula has remarkable results on wrinkles, firmness and facial volume. It is delicately scented with a smooth, velvety texture and envelops the skin in exquisite comfort. Day after day, skin regains the freshness of its youth: it is supple, smooth and resilient. Ultra-absorbent and very light dry oil, velvety finish. Moisturizes and nourishes the skin daily. Fleur's Night Smoothing Cream plumps and smooths skin thanks to smoothing floral ingredients and encapsulated hyaluronic acid. A perfect combination of skin care and makeup, this light, smoothing cream offers the promise of beautiful skin. 02 Shade - medium to dark. A perfect combination of skin care and makeup, this light, smoothing cream offers the promise of beautiful skin. Fleur's Supreme Moisturizing Cream is a sense seducing nectar with Buckwheat Flower Honey to intensely moisturize normal to dry, dehydrated skin.